There's a certain rush a player feels when they know there are hundreds, thousands or even millions of fans watching them, be it in a stadium or on television. While the audience may not be as big for a sport like poker right now, there is a slow and steady growth to it. In India, the skill-sport is gradually picking pace with a lot of portals beginning to host live events and a few even getting primetime space on television. One of these few is the Match Indian Poker League. The live-event which recently concluded its 3rd Season will be telecast on the popular channel MTV. Such big leaps into mainstream media will not only help establish poker as a sport but also help in educating the audience about the skill and strategy involved in it. MatchIPL is taking all the right steps towards promoting the sport. The two-day event saw all the bigwigs of the poker community in India participate and compete against each other. With every passing season, MatchIPL seems to get bigger and better. Accreditation by the International Federation of Match Poker doesn’t just add to the authenticity of the League but also puts India on the poker world map. 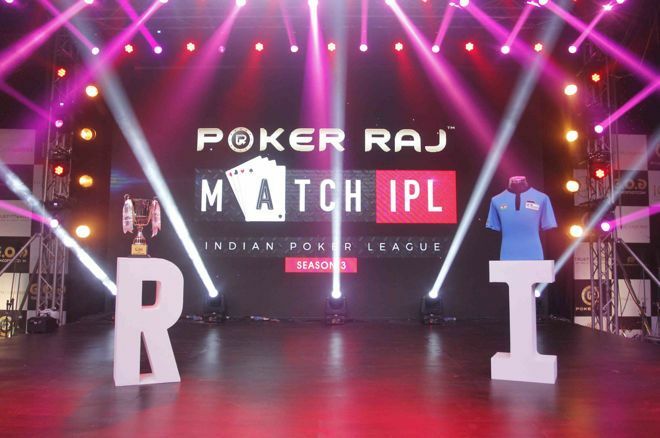 Season 3 of Match Indian Poker League had 9 teams competing against each other for the top spot and it wasn't just the grand monetary prize they were after, but also for the chance to represent their country at the IFMP Nations Cup. Yes! The winning team of MatchIPL goes on to play for Team India at the IFMP Nations Cup which is scheduled to be hosted in Ireland. With all teams striving to take the top spot, the competition and rivalry was evident among all teams. Champions of Season 2 - Haryana Hawks opened Day 1 with a positive start but would they be able to sustain it? Or would the defending champs lose their title? Watch all the action on 19th & 20th of December at 9 PM, exclusively on MTV!